‘Scene’ at the Great Western Society (GWS) facility at Didcot Part 3 A day out to Oxford mainly to see the buses (see elsewhere on my blog) also afforded me the time to catch the train from Oxford to Didcot where the ‘GWS’ are based. Although it was not a running day, there was plenty to interest me and from the assorted wagons on display, I have been able to make up a typical ‘Great Western Railway’ (GWR) pick up goods train. Ghastly Google Gigo (2) there is something very wrong with Google's data management for service 700. Stagecoach does not run two service 700s at the same time. Could it be (surely not?) that Google's sophisticated data import routines (?) are importing two lots of times, one from Sussex and one from Hampshire? The Beat Impressions livery behind the last pic looks so much better. I like the Best Impressions livery on the Wright-bodied buses because there is enough chrome on the front to offset the very dark red. On a double-decker, though, the dark, almost maroon. colour is just too dark for an unrelieved expanse of colour on a large vehicle. 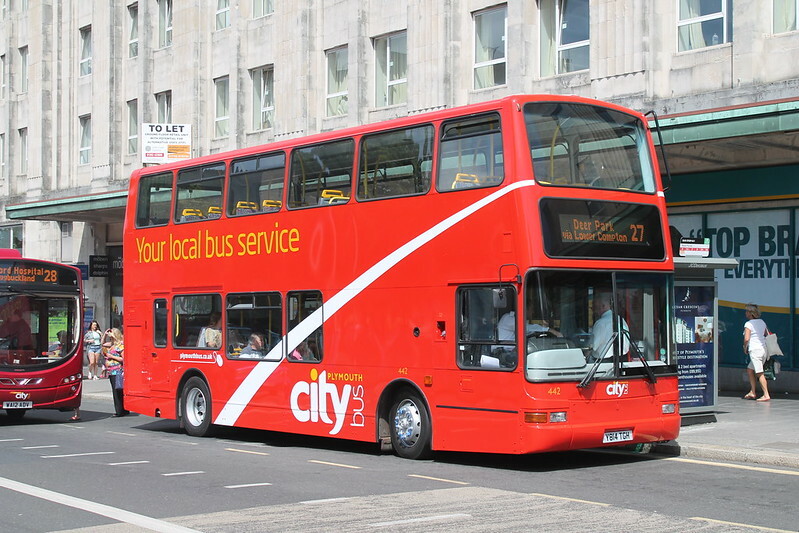 I also prefer the Best Impressions livery, is it Citybus intention to eventually repaint these into the current livery? I agree - the 'old' Best Impressions livery does suit the Eclipses very well for the reasons mentioned above. I would take a guess that the vehicles in this livery will be repainted into 'swoops' though will be absolutely last on the list and won't be done until all the rest of the fleet are completed. I reckon by that time the PVLs and 34/39 that are currently in that livery will have been withdrawn though, with just 67, 85 and 142 being what I'd reckon will be out of that livery and into swoops. That's just my guess though! How is this struggling? They only have 4 blue flash vehicles (I believe) so even if 1 bus is off the road it has to be replaced with something, struggling would not be running it at all, a la first. you will probably find that a couple of blue flashes are in workshops for servicing, not struggling as you put it. Not struggling at all! 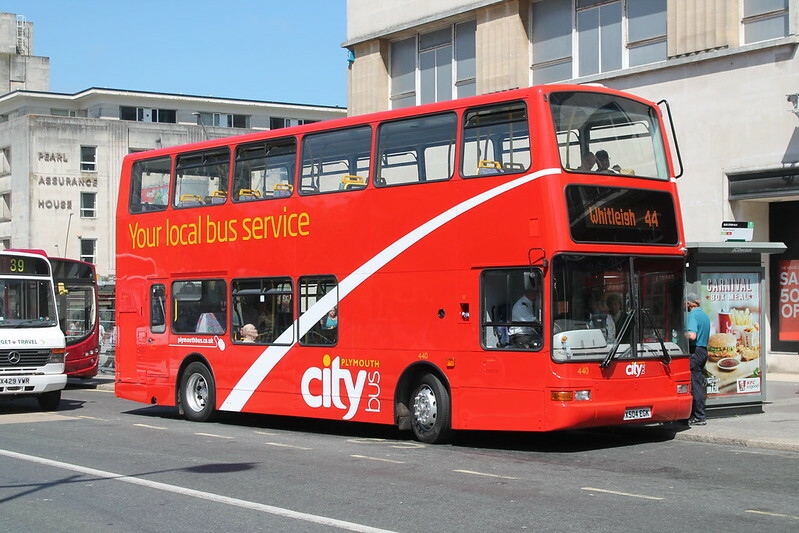 if they didn't run the services at all then they would have a lowered reputation but they provided the service with good, decent buses. FDC have Torpoint Tridents and Tavistock Enviros running on services which you wouldn't expect. 520 was painted into swoops for a reason; to cover the 12 and 21s when one of the Blue or Red flash vehicles respectively are off the road for servicing/MOTs etc. The 12 requires four vehicles (501-504), the 21 requires fifteen (505-519) and 520 was painted into swoops to cover for 12/21s when one of these vehicles is off the road for one reason or another. Re the First Tavistock Enviros - indeed at least two were on the PR1 yesterday. Would you prefer an unbranded vehicle, or no bus at all. First have branded there buses for years but have a very bad habit of putting them on the wrong routes. I have seen elderly people miss a bus because of this. To me it is better not to brand buses if they can't be kept on the routes they are branded for.